Register for multiple classes to get cumulative discounts! Receive an additional 10% off your second class, 15% off your third class and 20% off your fourth, etc! If you see a class you are interested in but would rather not pay online, we can make arrangements for you. 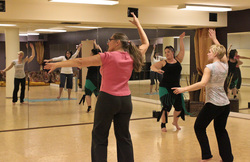 Cardio and strength training, Bellydance style! Cardio moves inspired by Bellydance, Barre inspired strength exercises and Yoga inspired stretches. Come get your sweat on! Participants should bring a water bottle, a yoga mat, a towel, and wear something comfortable. Grab a Hall Pass and save on your Drop-in Classes! Bollywood dance is a melting pot of various dance genres from around the world, a blend of vibrant storytelling and music from the planet's largest film industry. The joy of group dance and exotic music come together to make Bollywood as FUN as it looks on the big screen. Everyone is welcome to shake your hips and maybe even run around some trees in this truly magnificent art form from Mumbai, India. Please be prepared to dance barefoot, bring water, and comfortable clothing that you can move in. Long hair must be tied back. The Yang Style Simplified Tai Chi form is the most widely practiced Tai Chi form worldwide due in part to it's health benefits and it's accessibility to beginners. 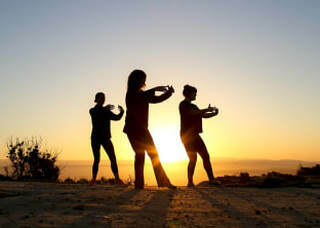 Benefits of Tai Chi can include improvement in balance, fitness and flexibility, pain reduction, as well as alleviating stress and anxiety and has been shown to reduce symptoms of depression. 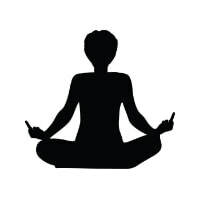 [reyj yoh-guh] noun: a practice involving stretching, positional exercises and bad humor, with the goal of attaining good health and to become zen as f*ck. ​Learn the art of Middle Eastern Drumming! This class will cover the basics from Dum, to tek, to Dum Dum tek-ka-tek Dum tek-ka-tek tek-a. No previous experience necessary. Whether you are a dancer who wants to develop your musicality, or someone with a passion for Arabic percussion who wants to learn more. In this 8 week course you will learn the basics and many of the essential Arabic rhythms. It is ideal to have your own drum so you can practice at home but some loaner drums may be available. Space in this class is limited, register early! Congratulations! You've taken the plunge and have decided to try Bellydancing! 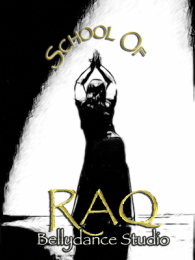 Literally translated Raqs Sharqi means "Dance of the Near East" but is also referred to as Cabaret. This is the style that most Westerners are familiar with as it is often seen in restaurants, festivals, weddings, and various other celebrations. Traditionally Raqs Sharqi is an improvised solo dance, however dancers may also dance choreographed pieces in groups. This is where it all begins! Learn basic bellydance technique and gain a better understanding of this ancient celebration of the female form. We'll put it all together in a fun choreography. Has your little one expressed an interest in Bellydance? Now they can get their shimmy on with Leanne on Mondays! Prerequisite at least two sessions of Bellydance Basics or permission from the instructor. Now its time to take your dance to the next level. This class will help you hone your technique by gaining a better understanding of your body and where and how the movement is being generated. We'll add layers and tempo changes and combine it all in a more challenging choreography. In this intermediate class, you'll build your skill set by learning more complex dance technique, layering, shimmies & traveling steps. In this class you'll continue to work on challenging technique while also working on more complicated theory. It's time to take all that technique and put it to work while exploring musicality and emotion in our dance. Not for the feint of heart. Prerequisite at least one session of Intermediate Bellydance or permission from the instructor. This Intermediate/Advanced Tribal Fusion class is about learning the technique of Fusion movements, and the theatricality of Tania's choreographies.